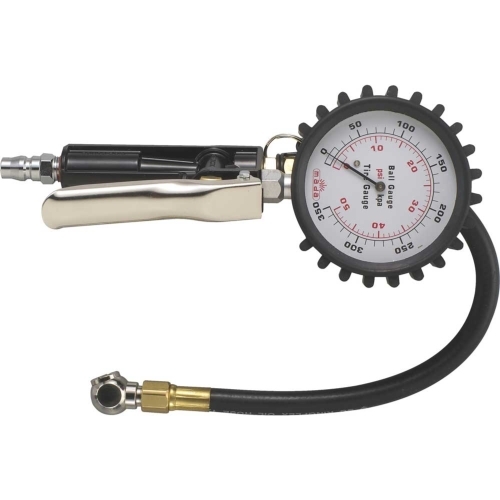 3 function of tire gauge with 360-degree rotation hose. Standard Hose Length is 36cm It can match different parts and use on various relative bicycle, heavy-motorcycle. The handle body makes mental. Special design - high-pressure resistant.